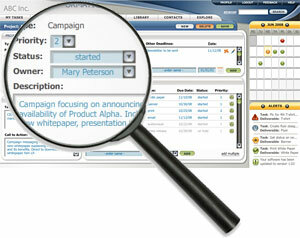 Planning marketing campaigns is easy when you have a web-based campaign planner at your disposal. From writing creative briefs, to planning tasks and assigning resources all the way to tracking and evaluating campaign results is at the core of Aprix Marketing Manager. If you ever struggled with Excel files, Word documents and Powerpoint presentations to plan your campaigns and get the team onboard, then you will be relieved to know that those files are not needed anymore. You have a single location from where your campaigns are planned, executed and tracked. The Campaign Creation screen will guide you through all elements you need to properly plan your activities. It’s like having an online creative brief that is share with the team, having the key elements that describe your marketing campaigns. Since the screen can be customized based on your company’s particular needs, you can make it look like the internal documents you use today or improve on them based on the web-based capabilities of Aprix Marketing Manager. You now have one location from where you can review and track your marketing campaigns. Sort, filter, or search for campaigns and their particular tasks to know the status and ensure your campaigns are on schedule. 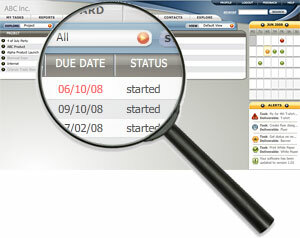 Next, learn how you can assign tasks and resources to your campaigns by visiting the Marketing Project Management section.